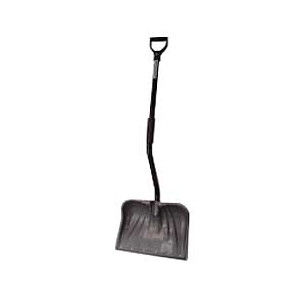 Combo Shovel and Pusher. Lightweight Steel Handle. Metal Wear Strip.